Pooch & A Pint 2018! Fundraiser for New Animal Shelter – The Second Wedge Brewing Co.
Join us for the 3rd Annual Pooch & A Pint! 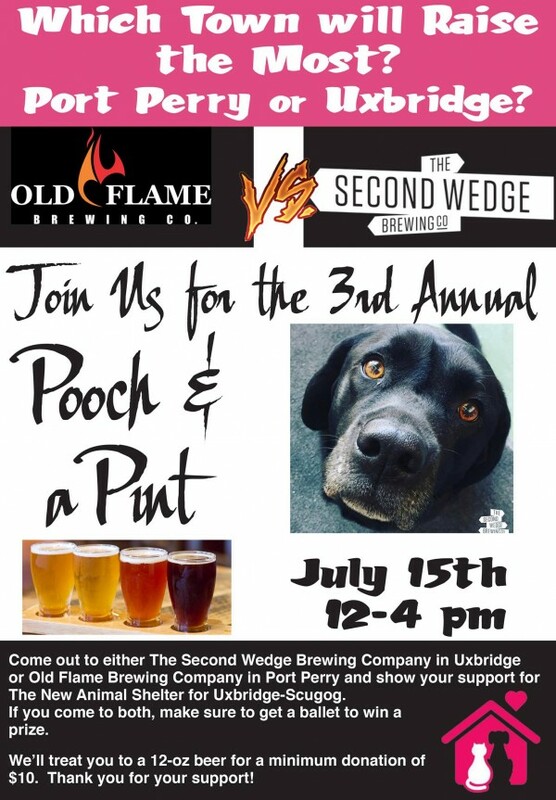 Visit The Second Wedge Brewing Co. in Uxbridge or Port Perry’s Old Flame Brewing Co., make a minimum $10 donation to New Animal Shelter for Uxbridge-Scugog, and get a free 12-oz pour. Better yet, visit BOTH breweries for a chance to win great prizes! Dogs are most welcome, as always, to join their responsible owners in the tasting room and beer garden.